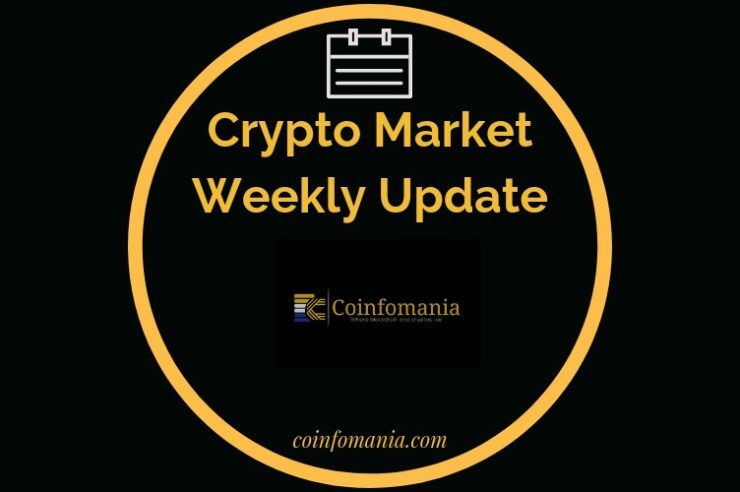 Crypto Market Weekly Update December 4 - Coinfomania Coinfomania: Where blockchain and cryptos live. The bearish crypto markets have stayed with us for one more week as most of the top coins consolidate prices after very sharp losses in early and mid-November. In this crypto market weekly update, we focus on the most significant developments in the market and industry within the last seven days. Which Big News Did You Miss? Bitcoin is down by 0.67% with a press time value of $4006. The top cryptocurrency has brilliantly defended the $4000 mark within the last week and even touch the $4300 level on Dec 2. Trading volume in the last 24 hrs was $5,387,819,562. 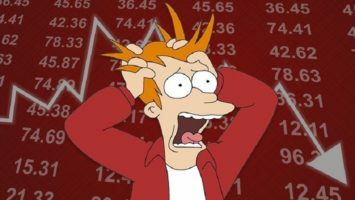 XRP has a market cap of $14.35 billion but is down by more than 1% on the daily trading charts. Highest XRP selling price within the past week was $0.39 but the altcoin has since declined to a value of $0.355 at press time. Ether, the troubled coin has not impressed just like the rest of the crypto market and is still $3 billion shy of the XRP market cap. ETH value is above $110 with a trading volume of $1,885,958,499 in the last 24 hours. Stellar is still the fourth largest crypto by market cap after dethroning the hardfork altcoin, BCH in the past week. XLM price at press time was $0.15 while it posted a market cap that is more than $200 million than that of BCH ($2,914,111,078). Bitcoin Cash is 7.49% down against the dollar and obviously has not recovered from the hardfork on November 15. Press time value was $154 with a lowly trading volume of $76,753,783 in the last 24 hours. What Is Trending In The Community? The current state of the market makes it appear as though the return of the bulls is still far away. However, if there’s one thing we have learned in this industry, it is that unexpected positive events could instigate a turnaround within the shortest notice. We cannot rule out the chances of that happening this week or the next hour. Stay tuned for our Crypto Market Weekly Update next week, and don’t forget to join our telegram channel so you never miss our updates and stories.